Largest of the token tube collector range. 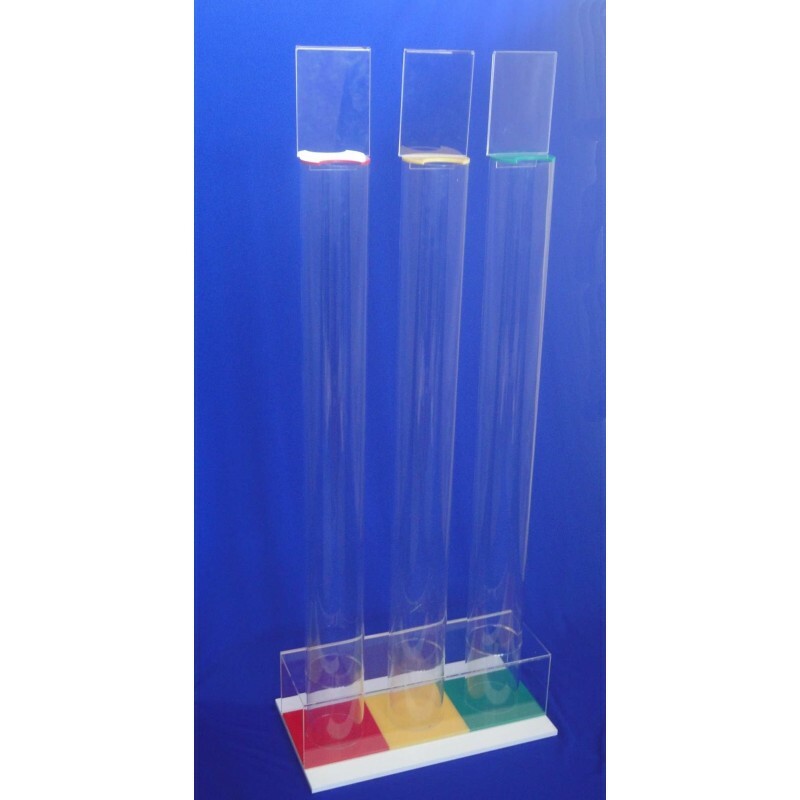 This unit is floor standing with 3 removable tubes and individual A6 Card holder headers. This unit can hold a wide range of token sizes. 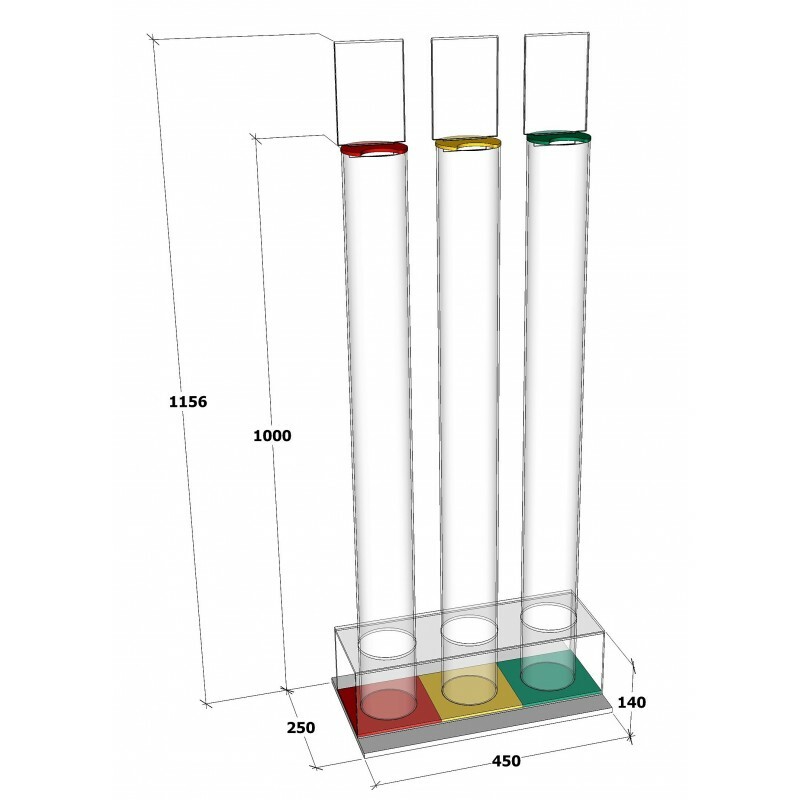 This 3 section unit sits on a solid high gloss acrylic base. 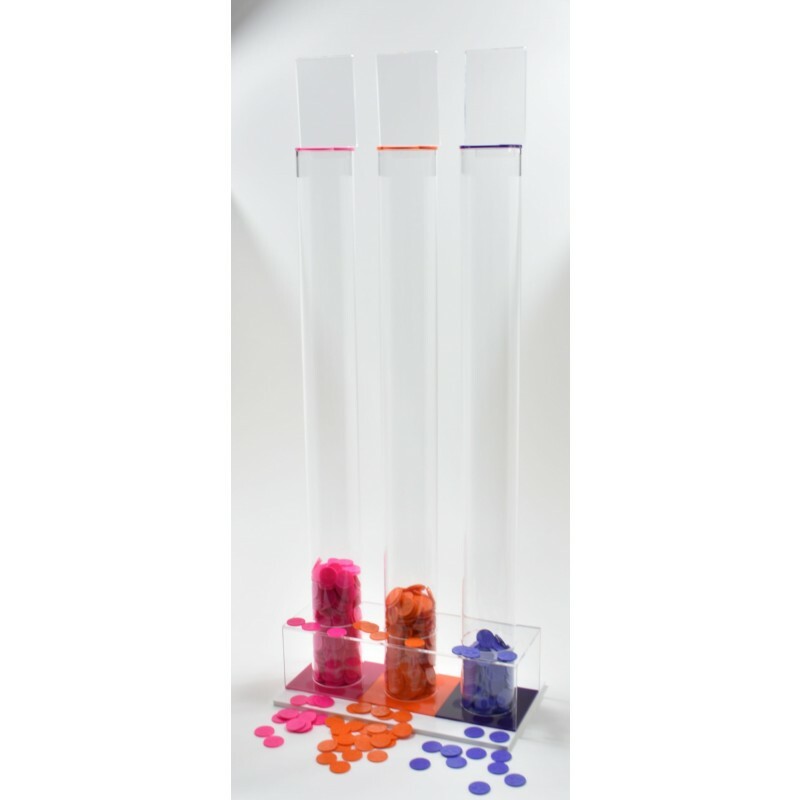 Our 3 section 100mm token tube collector is similar to our 40mm & 60mm tube token holders. This collector is popularly used in schools for house points. We have a ranges of tube units smaller than this if space is premium. Clear acrylic card holder allows you to have interchangeable header. 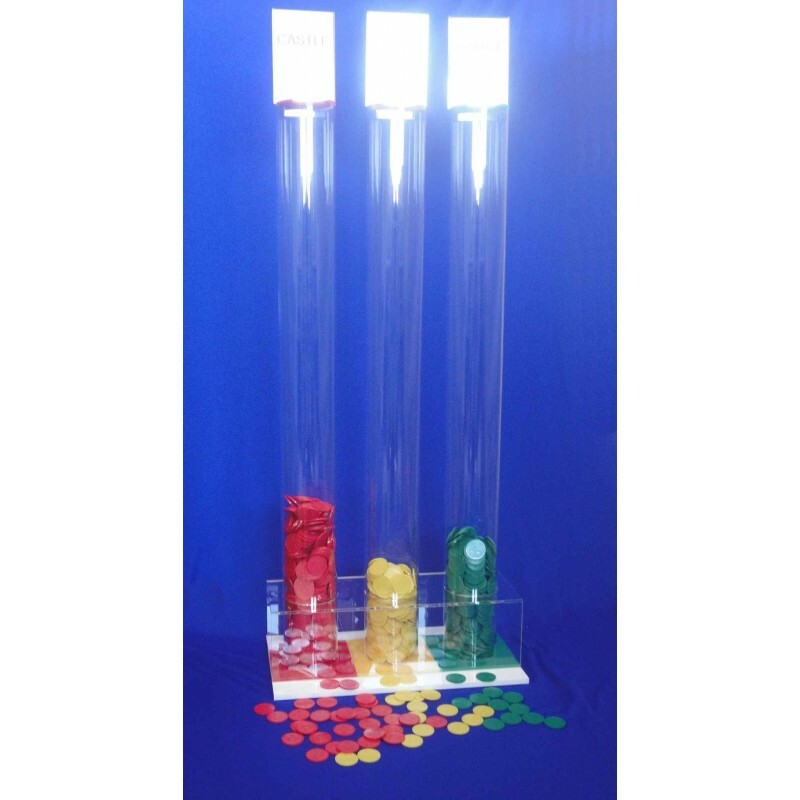 Each tube holds approximately 2400 tokens in 29mm or 1400 tokens in 35mm.